Latest UK CIFAS report reveals that “most fraudsters assumed the identity of a real person after accessing their name, date of birth, address and bank details”, implying that KYC-regulations-mandated data checking at identity verification services may fail to block most fraud attempts. 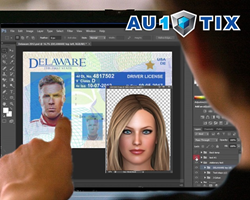 AU10TIX urges FSPs to be aware that checking customer ID images for manipulation and synthetic fraud is available only with 2nd generation ID authentication technology thus making it imperative for effective fraud prevention. FSPs should be aware that checking customer ID images for manipulation and synthetic fraud is available only with 2nd generation ID authentication technology thus making it imperative for effective fraud prevention. 1. “Facebook, Twitter and LinkedIn had become a 'hunting ground' for identity thieves”. 2. ”Most fraudsters assumed the identity of a real person after accessing their name, date of birth, address and bank details… Only a small fraction of stolen data is obtained by hacking victims’ computers. This should leave the lights on at Risk and Compliance officers’ office! This means that the common, KYC regulations mandated, practice of checking customer data against identity verification and credit rating services may be useless in too many cases. Very likely the data checked may be real data of a genuine innocent person and will check positive! As Simon Dukes, chief executive of Cifas, said: “Fraudsters are opportunists. As banks and lenders have become more adept at detecting false identities, fraudsters have focused on stealing and using genuine people’s details instead” (See: http://www.telegraph.co.uk/money/consumer-affairs/sharp-rise-in-identity-fraud-as-scammers-use-facebook-and-other/). Is there a way to protect against fraud based on genuine stolen identity? Luckily yes, says AU10TIX experts: that is, if you have the appropriate technology. According to regulations, customers are required to submit their government issued face ID documents as the basis for identity proofing and qualification. The reason is that these documents contain the exact data as recorded in the different data referencing services and that these are identity documents that contain security (i.e. forgery detection) features. The only problem in the online, Customer-Not-Present – Document-not-Present, space what service providers are getting is not the original document but a photo of it taken by customers. Many of the anti-forgery features in ID documents cannot be checked when the photo has been taken with a (typically) mobile phone camera or office scanner. The qualities of the images submitted are often not “optimal,” to say the least. On the other hand, photos of ID documents can be manipulated using readily available software tools, many of which are even freeware. Luckily, 2nd generation ID image authentication technology is already available on the market. Actually, an increasing number of major players are already using it to screen large volumes of ID images coming from anywhere around the world. The big difference in 2nd generation online ID document technology is in the way forgery and synthetic forgery attempts are detected and in the ability to handle sub-optimal image qualities. While 1st generation solutions rely primarily on OCR and succeed mostly with ID that contain MRZ codes and barcoded data, 2nd generation technology goes forensic and checks for image file manipulation as well as augment risk data encoded into the file. 2nd generation ID authentication and onboarding technology may be the only practical way to block forged ID document images even if the data they contain is genuine (but stolen). It is highly recommended, says AU10TIX: to have in place, as minimum, a 2nd generation ID authentication service whose outputs are then checked against identity verification and screening services. Without it you’re running the risk of staying blind to fraud that the bulk of which is based on genuine stolen personal data. If CIFAS is correct than you better make sure that the data you’re checking comes from an ID image that has been screened for manipulation and synthetic forgery by 2nd generation technology.